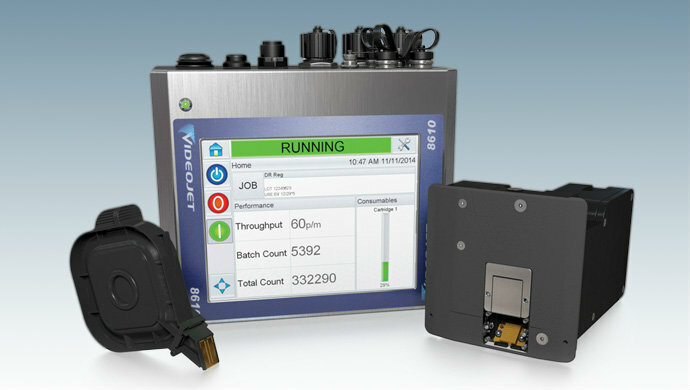 The Videojet 8610 utilizes a revolutionary, purpose-built cartridge designed to use MEK fluids. You can now bring the simplicity of thermal ink jet to applications that require printing of crisp, repeatable codes on foils, films, plastics and coated stocks. Ideally suited for applications in food processing, cosmetics, and pharmaceuticals, the 8610 combines high-resolution printing of customer-facing and supply chain information with incredibly simple operation.